Most electric motors manufactured after December 19, 2010 must comply with the new PREMIUM EFFICIENCY rules defined in EISA (Energy Independence and Security Act of 2007). These new motors lower your utility bills each month, but they also cost significantly more. Many plants are stocking up now on less expensive motors (call us to give you a quote). E-mail us if you'd like to get a handy guide of which motors are affected by this new legislation. 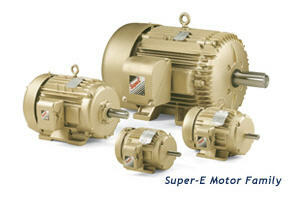 Remember: TigerTek is your Super-Store for Electric Motors. 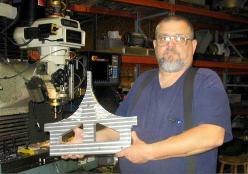 TigerTek is also a master stocking distributor for Baldor/Reliance. 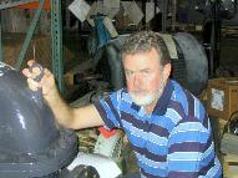 We've been doing pump repairs since 1983. This photo shows a 35' vertical turbine pump from a local fresh water plant. We are turn-keying this project (disconnecting and removing the pump and motor, full rebuild and reinstallation). Give us a call for your next repair (336) 623-1717.